Generac iQ3500. QUIETER. MORE POWERFUL. BEATS HONDA. Ultra Quiet- 40% Quieter than Honda*- advanced inverter technology and enclosure design provide optimal quiet performance. Electric start with PowerDial™ has three operation settings integrated into one simple-to-use dial. Digital Smart LCD with hour meter tracks maintenance intervals. USB Ports charge mobile devices including smartphones and tablets. Economy Mode reduced noise and fuel consumption. Parrallel-ready capability allows for connection of two inverter generators for twice the power. **500 more starting watts than eu3000is, based on manufacturer’s specifications. *** Increases electrical current upon demand; above rated output when starting electric motors. Quieter. More powerful. Easy to start. 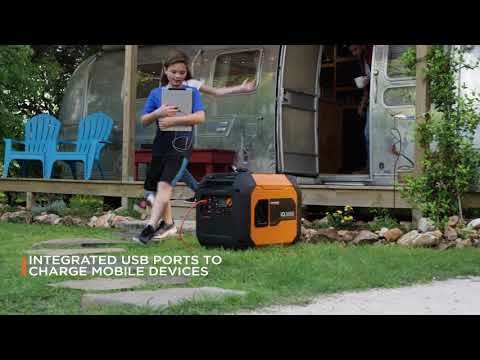 The new iQ3500 inverter generator lets you bring power wherever life takes you. From tailgating parties to camping trips and beyond. The durable, yet lightweight design is specifically engineered for easy portability. The intuitive PowerDial™ integrates the start, run and stop functions into one simple-to-use dial, along with Electric Start (battery included) capability, all conveniently located for quicker startup. Select from two engine speeds, depending on your need, to significantly reduce noise and fuel consumption, or to maximize power response. *Over 5 dB(A) quieter than the EU3000is, based on independent third-party testing. *500 more starting watts than eu3000is, based on manufacturer’s specifications. **Increases electrical current upon demand; above rated output when starting electric motors. 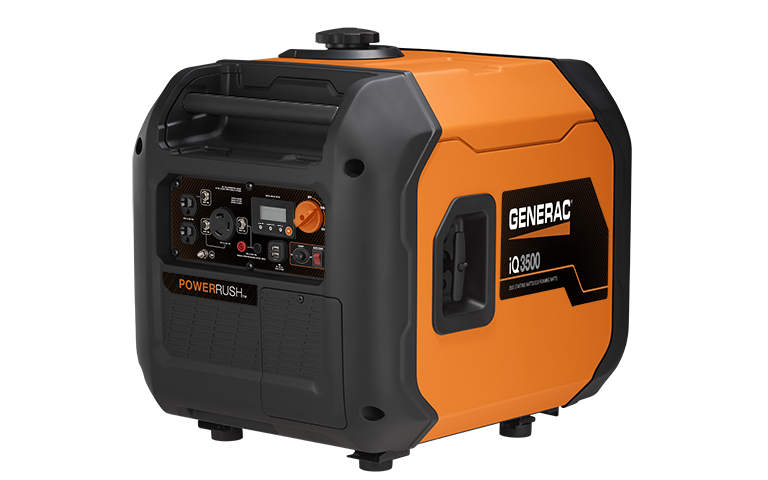 Learn about the features, benefits, and many uses of the Generac iQ3500 portable inverter generator.